Best known for his acclaimed tribute to Buddy Holly, Vancouver Island native, Zachary Stevenson, channels the spirit and sounds of the past in dynamic performance that is uniquely his own. Hear dynamite hits like “That’ll Be the Day”, “Peggy Sue”, “Oh Boy”, and “Rave On”. 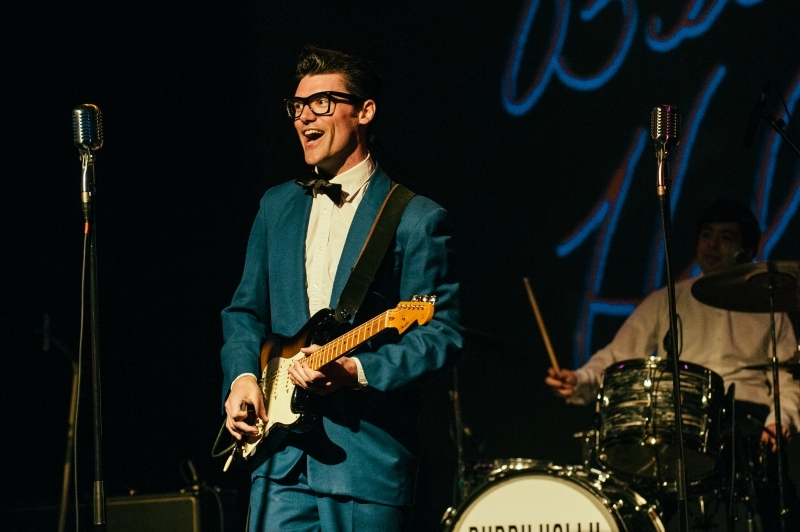 Stevenson presents Buddy Holly so perfectly that you’ll seem to be watching a genuine replica of the nerdy, and hip young Texan. This is a two part show, the first part showcases his masterful guitar licks and superb vocals including Holly’s trademark hiccup and energetic dance moves that often bring the audience to their feet. Beyond the music Stevenson weaves in engaging stories about Buddy and his personal experience in understanding the man and his music. The second part of the show highlights the Rocking Horse Medicine Show Band and songs from the following artists: The Big Bopper, Dion, Ritchie Valens, Little Richard, Bo Diddley and more.